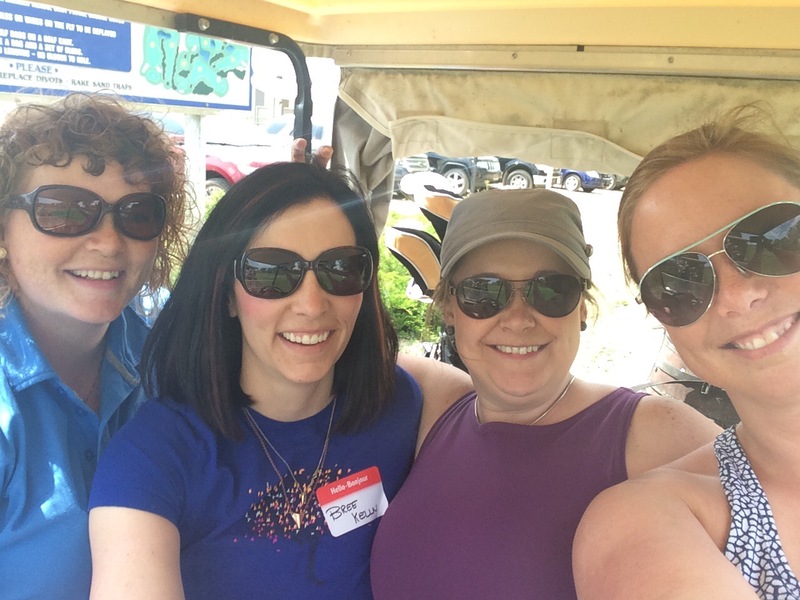 On Thursday June 11th I gathered with a fantastic group of ladies to spend the day golfing, networking, and raising funds for a great charity. 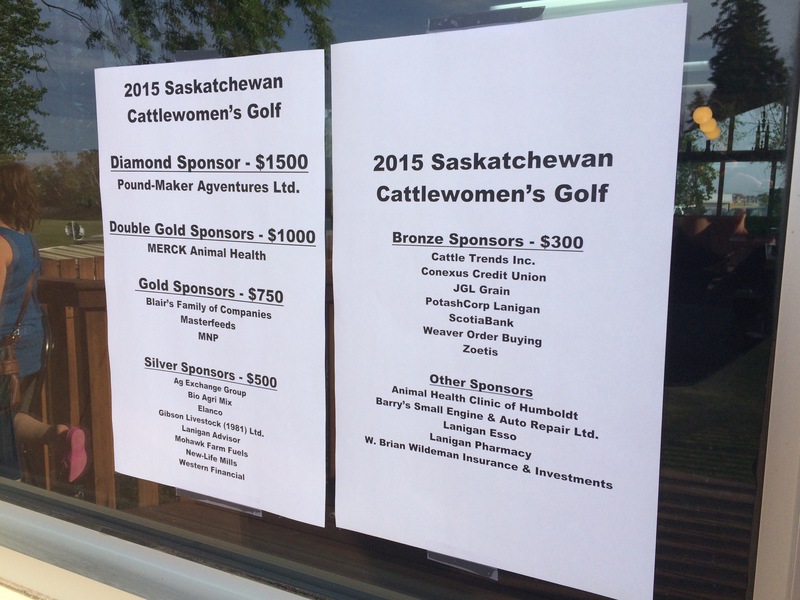 The Saskatchewan Cattlewomen’s Golf Tournament was started in 2010 by Sheri Pedersen and Cheri Wildeman. The previous year they had attended the Canadian Cattlewomen For The Cure Golf Tournament in Alberta. 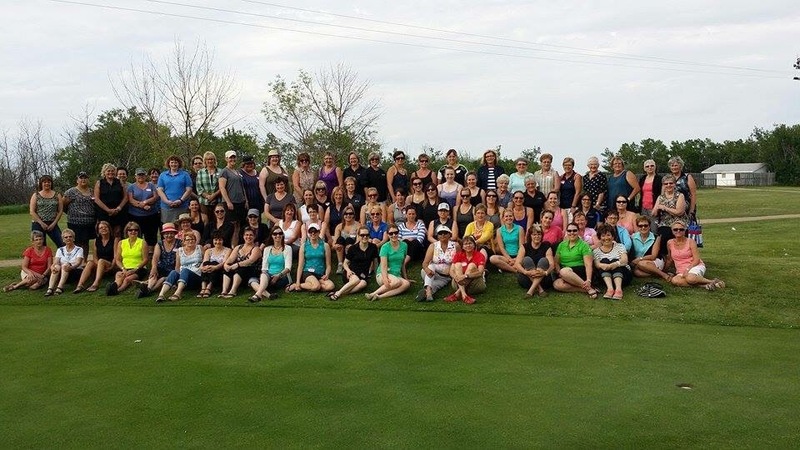 Although it was a fantastic event, Sheri and Cheri realized that it was difficult to spend two days travelling for one day of golfing, and they also saw an opportunity to raise funds within Saskatchewan. So with a lot of work and organizing from those two ladies, the Saskatchewan Cattlewomen’s Golf Tournement was born. Each year, the golf tournement and supper raise funds for the Children’s Hospital in Saskatoon. What started as a small amount, quickly grew into a substantial annual number. This year was no exception. 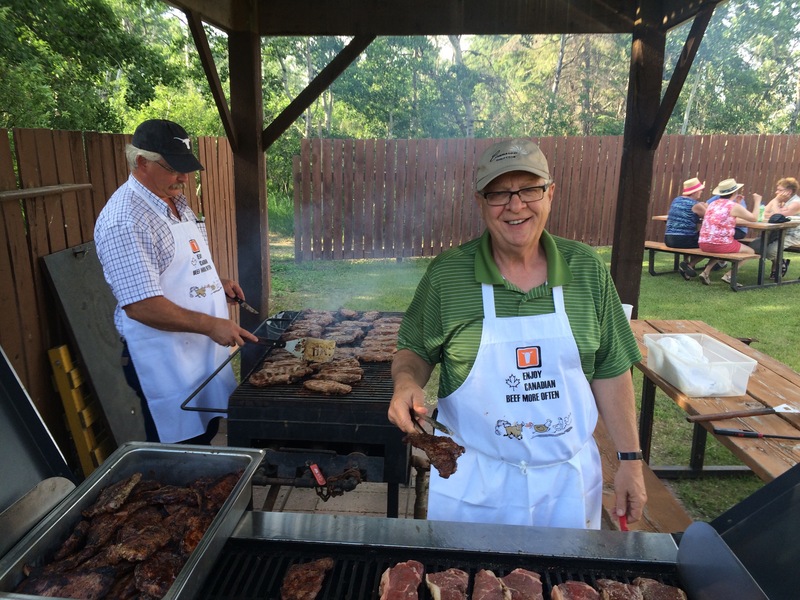 With 64 golfers, and 90 for supper, 2015 was a roaring success. There were ladies in attendance from Saskatoon, Moose Jaw, Regina, Ituna, Kelliher, Duval, LeRoy, Jansen, Eastend, Tessier, St Benedict, Lockwood and Lanigan. With the help of numerous sponsors, $14,250 was raised. Over the past six years, a grand total of $62,400 has been raised for the Children’s Hospital. Beyond the great cause of raising funds, the Saskatchewan Cattlewomen’s Golf Tournement is a great day of networking, socializing and fun. There is room for every level of golfer (even the very *ahem* challenged golfers such as myself), and a delicious steak supper for the non-golfers. There are prizes for the golfer’s and door prizes that everyone has a chance at. Brad Wildeman grilling steaks like a boss!! I had a wonderful time catching up with some great old cattle business friends, and creating some new contacts as well. I may have lost the odd ball in the process, but it was well worth it.